The World’s Children’s Prize Laureates as well as members of the Child Jury who turn 18 automatically become Patrons (Honorary Adult Friends). Below find our other Patrons in alphabetical order. 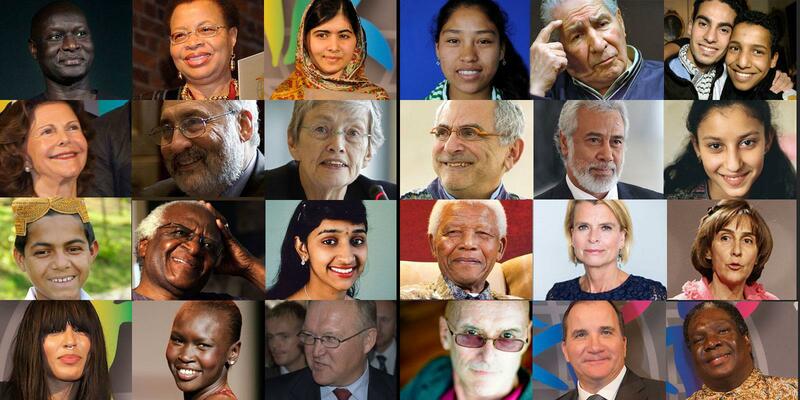 Who do you think should be invited to become a Patron of the World’s Children’s Prize? Send us your suggestions! Ahmed Kathrada, Former Freedom and Democracy fighter and political prisoner. Deceased. Eva Reimers, Director of Communication at Apotekens Service AB. Former Board member of the WCPF. Malala Yousafzai, UN Ambassador for Peace. Nelson Mandela. Former freedom fighter and President of South Africa. Deceased.